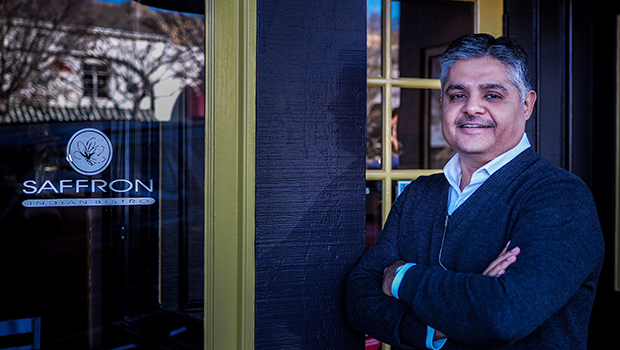 Ajay Walia is the owner of two, culinary-driven Indian restaurants in San Francisco, Saffron and the Michelin-starred Rasa. With over a decade of experience in the hospitality industry, Walia strives to change the perception of Indian food in Western culture. While living in the U.S., Walia realized the misconception Americans had about Indian food and looked to change it in by following his passion for food and dream of becoming a restaurateur. Walia opened Saffron in San Carlos in 2002 with the intention to serve North Indian cuisine, celebrating India’s rich culinary traditions and flavors. The menu is a reflection of Walia’s interpretation of dishes curated from recipes and techniques based on his childhood, family and experiences.